Indulge in the elegance of lobster at a very affordable price with Lobster Delights®. 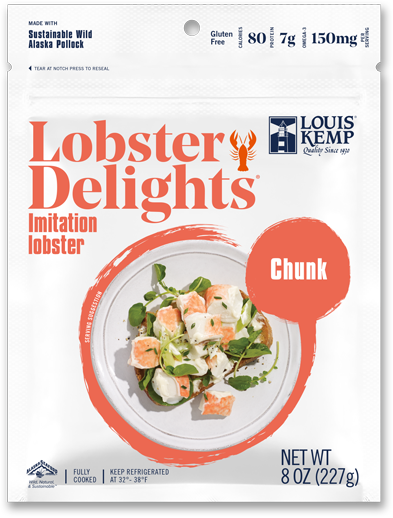 We have infused these succulent chunks of surimi seafood with a mild lobster flavor and fully cooked them for added convenience. Simply dip them into melted butter or add them to elegant main dishes, salads, sandwiches, and appetizers. Available in 8-ounce packages. Learn more about imitation lobster from our helpful resource guides. 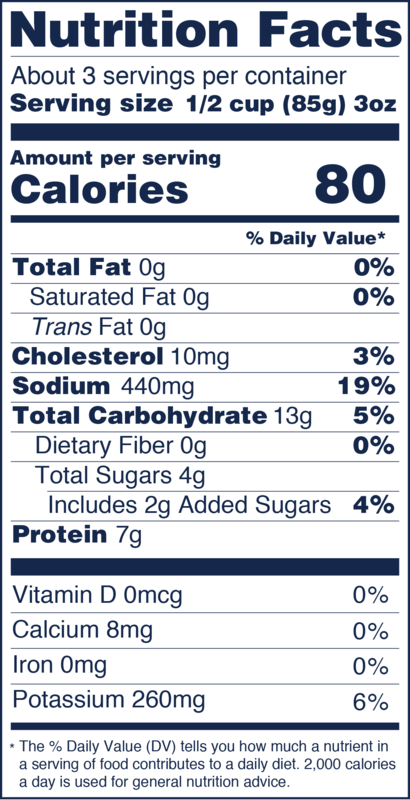 INGREDIENTS: Alaska Pollock, water, potato starch, sugar, contains 2% or less of: lobster meat, sorbitol, natural and artificial lobster flavor, mirin wine (sake, sugar, salt, water, yeast extract), potassium chloride, salt, pollock oil, sodium tripolyphosphate, tetrasodium pyrophosphate, canthaxanthin, color added.